Posted on November 2, 2017 at 4:59 am. Start November the right way with free spins, fair spins, bonus cash, and other great specials and promotions at some of the best online casinos on the web. We’ve compiled the best offers, which popped up over the past week, so you can claim them over the weekend and even next week too. November 1 to 6: Win a share of a £30,000, including a first prize of £10,000 in cash, and £5000 cash for the first four runners up. November 7 to 13: Win a share of £30,000, including the first prize of a £10,000 trip for two to Hollywood, plus £5000 cash for the first four runners up. November 14 to 20: Win a share of a £30,000, including the first prize of a £10,000 trip for two to Mount Fuji in Japan, plus £5000 cash for the first four runners up. November 21 to 27: Win a share of a £30,000 prize pool, including the first prize of a £10,000 trip for two to Ireland, plus £5000 cash for the first four runners up. Then on November 29, four winners will score £5000, while five winners will pocket £5000 on November 30. On December 1, one lucky Leo Vegas player will win £30,000. All you need to do to qualify is wager at least £100 on Finn & the Swirly Spinn, Gonzo’s Quest, Jungle Jim, Rich Wilde & the Book of Dead, Troll Hunters, Steam Tower, Starquest or Nirvana to score an entry into each prize draw. There’s a few terms and conditions attached, including restricted countries, so learn more on Leo Vegas’s promotions here. Guts Casino is making it rain this month, with up to £/€/$50,000 in cash prizes and extra spins. Up until November 28, players can make a wager on their favourite online casino games on your smartphone, tablet, laptop or desktop to earn a ticket into the Spinnin’ in the Rain raffle. Players will receive one point for every £/€/$10 wager (or other currency equivalent) on a game of choice, which will get you started on the leader board. Players who miss out on the leader board draw are still winners, with 10 tickets earning you 10 bonus spins to use on the the Rainy Game of the Week. There’s a few terms and conditions attached to the Guts Spinnin’ in the Rain promotion, which you can read more about in the provided link. If you’re reading this and it’s still Friday, get yourself to Mucho Vegas online casino and play the Game of the Week, Atlantis World. You’ll score 20 free spins, which are wager free, credited to your account on Saturday. Missed out? The promotion runs every week from Monday to Friday, with a new slot selected each time. Check out their site to learn the terms and conditions of the Game of the Week promotion at Mucho Vegas. 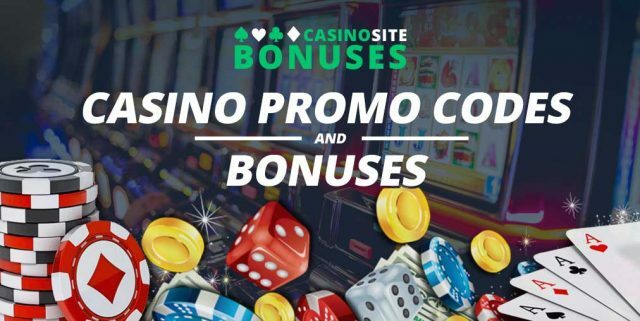 Every Sunday, including this one, Casino-Mate gives its players the chance to find a share of 5000 wager free spins that have been hidden by the online casino team. All you have to do to claim the promotion, is locate the free spins among the poker machines offered by the reputable online casino. Open a few up as soon as you can on Sunday, as the first 300 players receive a share. The free spins are wager free – no need to bet the winnings several times to clear as real cash. There is a capped limit of $200 on winnings, but this is much higher than other online casinos. Visit the official site for terms and conditions and wagering requirements attached to the Casino-Mate Hidden-Spin Sunday offer. The minimum deposit to qualify for the Mucho Vegas promotion is €/$25 (250 SEK/NOK/ZAR), so if you’re planning to make a big deposit, divide it up over several individual transactions. The promotion only runs on Mondays at Mucho Vegas, but there are several other offers throughout the week. Americans looking for an online casino and bonuses to match should head to Bovada.lv. The online casino has three different bonuses to choose from when signing up, and one is bound to suit your needs. First up is the $USD3000 welcome bonus, which you can claim when signing up as a new player. You can make a deposit of up to $1000, over three seperate deposits, to have each matched by 100%. Make sure you enter the promo code NEWWELCOME each time. Next is the bitcoin bonus, and only applicable if you own bitcoins. If so, you can claim a 150% match deposit bonus of up to $1500 on your first, second and third deposits giving you a total of $4500 in bonus cash to play with. Make sure you enter the promo code BVCBITCOIN150, when making a deposit. Finally, there’s the refer a friend bonus. All you have to do to claim this bonus is send your friends the referral link. If they sign up and make a deposit, then you will receive a bonus of 200% of your friend’s first deposit, capped at $100. If you like the sound of the Bovada USA bonuses, visit their site more information on their latest promotions, as well as terms and conditions.